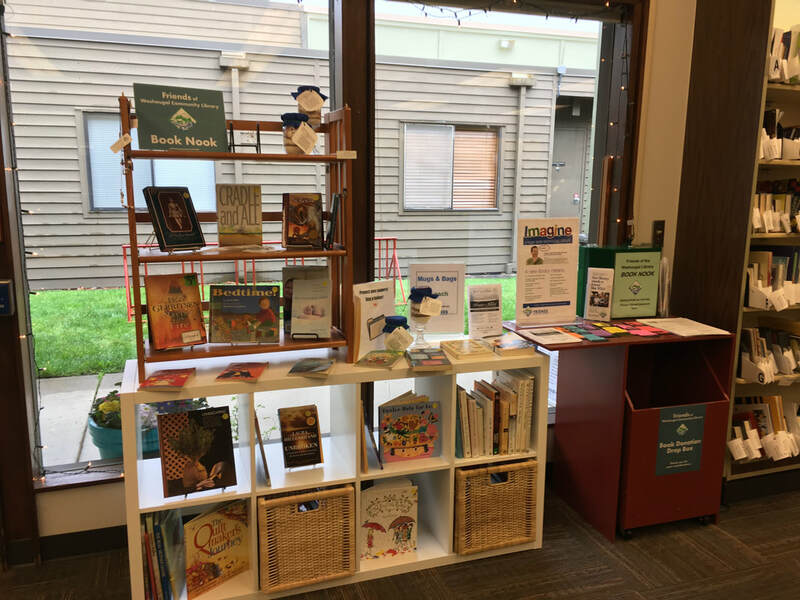 Located just inside the Washougal Community Library, our book nook has nice books available at reasonable prices. Bookmarks, mugs and bags are also available and make great gifts. Our drop off box is also located at the book nook. Donated books are used for the book nook and for our book sales. Curl up with a good book and our coffee mug. 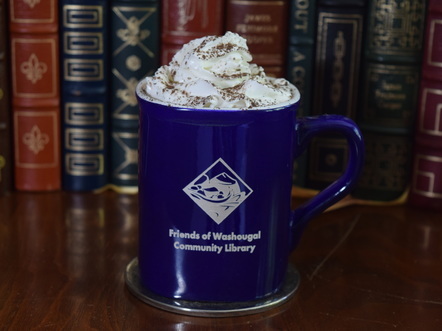 Mugs are on sale at our book nook in the Washougal Community Library for $7 each. These bags are great for hauling books from the library or our booksale. They're on sale in our book nook, just inside the Washougal Community Library for $7.